The Maddening Lord Montwood is almost here! I’m so excited about this book! Since her task was to flirt and convince everyone she was a confident woman instead of a kicked puppy, she was determined to make a convincing go of it. She needed all the practice she could get before William arrived. Merribeth took her first lesson from Daniela and reached up to brush a speck of lint from Montwood’s shoulder. Then she took a lesson from Bane and held Montwood’s gaze, imagining she possessed an intimate secret about him. Unfortunately, the only thought she could muster was the memory of what it was like to run her fingers through Bane’s coal black hair. Feeling decidedly restricted, she let out a breath. This was how the game was played, she told herself. Yet she was unprepared to be successful, even if it was all for show. She imagined that Montwood preferred clandestine meetings. Perhaps that would all change once they were married. Surely a sizable fortune would bring a charming, shadow-dweller like Montwood into the light. No sooner had the horses stilled than the carriage door opened. Montwood’s dark head appeared, a dashing smile at the ready. “Miss McFarland, you are ever punctual.” The comment proved how little they knew each other. Then, without invitation, he stepped inside and sat across from her. Had he a gleaming sword and armor breastplate, Buckley could not have looked more like a knight determined to rescue her from ne’er-do-wells. “Everything is as it should be, Mr. Simms,” she said fondly, fighting the urge to ruffle those curls. He gave a curt nod, still casting daggers at Montwood and grudgingly closed the carriage door. I fell irrevocably in love with him, and I hope you do, too. A Great Deal on BookBub! Hedley Sinclair has inherited Greyson Park, and she’s determined to keep it out of the hands of roguish Rafe Danvers. But if Rafe’s scheme to seduce Hedley succeeds, he’ll claim more than just her inheritance… From a USA Today bestselling author! It’s official!!! 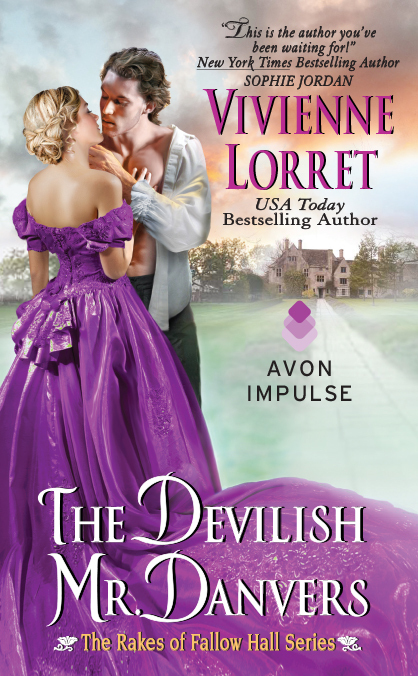 I’m writing another Christmas novella for Avon! Yay!!! Look for ALL I WANT FOR CHRISTMAS IS A DUKE this December. 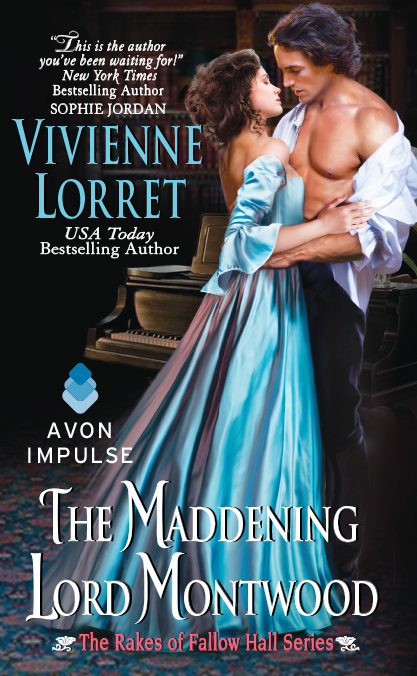 This Regency anthology will also feature stories from USA Today bestselling author, Ashlyn Macnamara, along with Valerie Bowman and Tiffany Clare. I’m so blessed to be listed among such amazing authors. Happy Father’s Day to all the dads out there… to all the grandfathers who step in to fill a void… and to all the moms who do the job of both parents. <3 You are loved and appreciated. 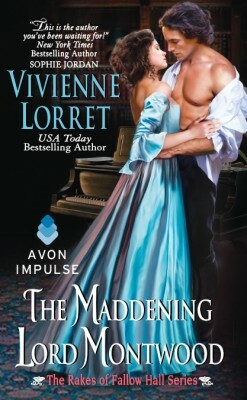 THE MADDENING LORD MONTWOOD will be released one month from today!! YAY!!! 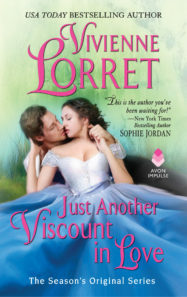 And since I’m really terrible at waiting, I thought I’d post a sneak peek into Lucan and Frances’ story. Lucan turned to face her. Slowly, he revealed a grin that only hinted at the dimple lurking there. It hinted at other things too. Scandalous things. She was certain of it because a ripple of desire stirred inside of her. SUPER SALE!!! Not one, but TWO of THE RAKES OF FALLOW HALL are only 99 cents!! 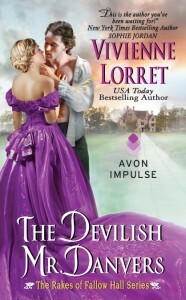 THE ELUSIVE LORD EVERHART and THE DEVILISH MR. DANVERS!! I’ve been a fan of college football since my grandfather introduced me to the magic of the game on Saturday afternoons when I was young girl. Years later, I infected DH with the fever for the Fighting Irish and then both of our boys. Now, it’s a family tradition to plan every autumn Saturday around the football schedule and watch the game together. I don’t obsess over the scores, or even know everything about the game; I just enjoy it. DS 2.0 is gearing up for football practice. Earlier today, I threw a series of “slants,” “hitches,” and “fades” to him. Not to brag or anything, but a few of my passes were even on target. And a bonus: minimal eye-rolling. I loved writing the Wallflower Wedding Series, The Rakes of Fallow Hall Series, and getting to know the characters and their families. It was difficult to say goodbye. However, beginning something fresh, new and completely unrelated to the previous books sparks excitement inside me. I’m currently working on a proposal for a new series and I’m already obsessed with these characters and their stories. Unfortunately, this process isn’t foolproof. My first round of book titles flopped. My second round received a bland response (definitely not promising). And now my third attempt is trapped somewhere inside my head. The truth is, there is magic in the right book title. 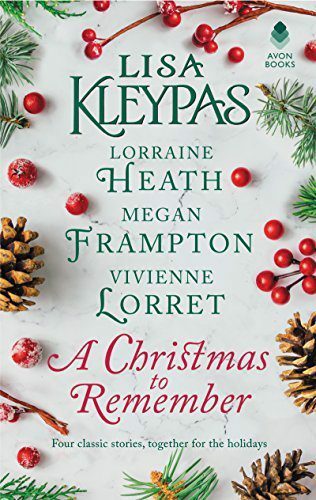 You always remember the really great ones: Perfect, by Judith McNaught; A Knight in Shining Armor, by Jude Devereaux; Devil in Winter, by Lisa Kleypas; On the Way to the Wedding, by Julia Quinn; A Kiss at Midnight, by Eloisa James… And the list goes on and on. Great titles + great stories = magic. It’s as simple as that. Right? Until then, I’ll keep working on this proposal.